Big Bird has refused appearances on “Saturday Night Live,” “Late Night with Jimmy Fallon,” Piers Morgan, “The Today Show” and “Good Morning America” after Republican presidential candidate and former Massachusetts Gov. Mitt Romney made one of those “You know I love you, but…” comments that let you know you’ve just been scraped off of the bottom of someone’s shoe. No wonder Big Bird is in demand; the Twittersphere blew up in response to Romney’s slight at Wednesday night’s debate, registering up to 17,000 tweets per second about Big Bird. New York Times columnist Nicholas Kristof tweeted, “Hey, I figured out how Romney will balance the budget: sale of TV rights to broadcast the decapitation of Big Bird.” No wonder he won’t come out in public. Paula Kerger, the president and CEO of PBS, says that a remarkable 80 percent of children under the age of five watch public television, where Big Bird lives on “Sesame Street”—but really he is just renting. 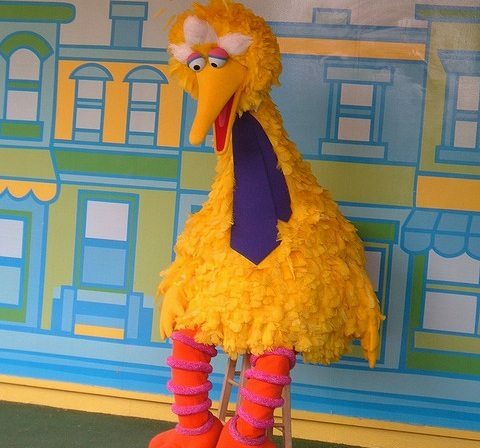 Sesame Workshop, the producers who make “Sesame Street,” note that their outfit is not actually part of PBS. Rather, it is an independent nonprofit that is financed through a combination of philanthropy, government funding, distribution and royalty fees, and product licensing. Details, details. The whole episode reminded us of Romney’s promise to “get rid of” another independent nonprofit, Planned Parenthood, whose funding was also thrust into the public spotlight when Susan G. Komen for the Cure announced the now-rescinded decision to discontinue funding to the organization. PBS and Planned Parenthood, of course, have both been nonprofit political footballs for some time and both seem to have a lot of public support, but where Planned Parenthood cannot stay out of the fray because what they are being attacked on is something they are unwilling to give up, the attack on PBS has at times been based on charges of left-leaning coverage, which PBS does not wish to claim. Instead, it has tried to deflect the barb by responding that it is nonpartisan and expressing amazement at being called out. Planned Parenthood played its hand very differently after the Komen foundation announcement. Even though the funding cut of $680,000 (in 2011) was minimal to Planned Parenthood’s total annual revenue (which was more than $1 billion in 2010), Planned Parenthood did not come out with a public statement urging the public to stop focusing on them. Instead, it leveraged the attack in a martial arts kinda way, letting Komen run headlong into the wall and basically counting on its public to get its back.